Cedarholme Bed and Breakfast and Cottages is the ideal spot for your Bruce Peninsula stay. Located on the shores of Georgian Bay inbeautiful Hope Bay, we are on the Bruce Trail, and seconds from the safe, natural sand beach. Cedarholme is located on the shore of Georgian Bay in Hope Bay, 17k. north of Wiarton and 15k. south of Lion's Head. The Bruce Trail is directly at our front door as it goes north to Cape Dundas and south to Cape Crocker.  Our B&B is an Ontario Heritage Home, and offers 3 unique rooms with modern amenities including air conditioning. We are members of FOBBA, inspected and rated at 3 1/2 stars out of 5 (Comfortable/Superior). Rates include a full breakfast with home baking and a choice of entrees. We offer packed lunches and shuttle service for hikers. The Hope Bay Beach is a natural sand beach on Georgian Bay with a breathtaking view of the escarpment cliffs. The beach water is shallow and safe. We are 30 seconds from the water - the sunrises are spectacular. Cedarholme is located close to all area attractions such as Greig's Caves (10 min. ), Lion's Head (15 min. ), Sauble Beach (30 min. ), Bruce Peninsula National Park and Tobermory (50 min.). Visit our website at www.cedarholmebb.com. We look forward to your visit.